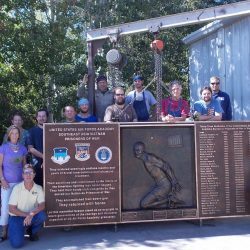 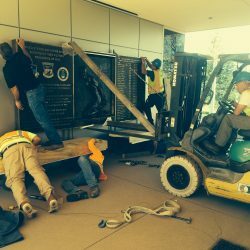 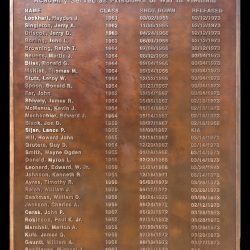 After the Vietnam Memorial Pavilion was completed and dedicated in 2010, the USAFA class of 1970 deliberated with General Ronald Yates, class of 1960, to develop a fitting memorial to honor the 32 Academy graduates who served as POWs during the Vietnam war. 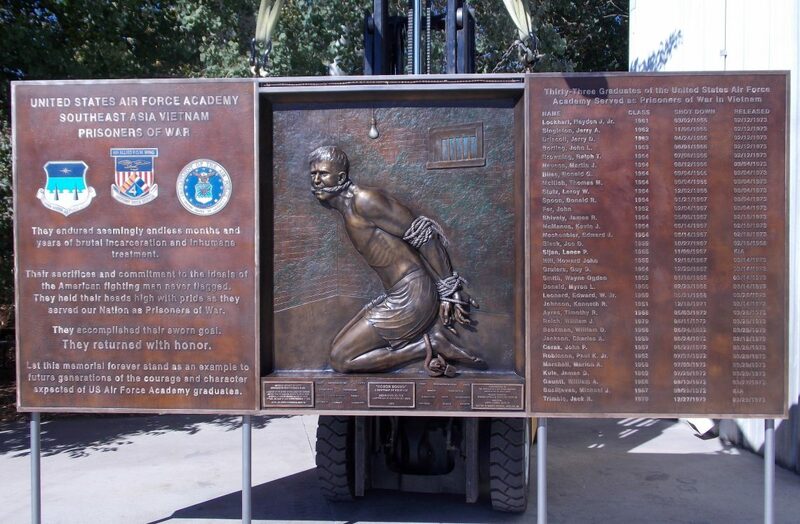 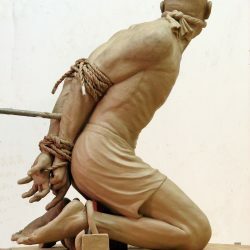 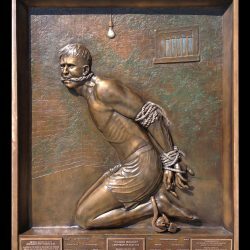 General Yates, a strong advocate and admirer of POWs, suggested a bronze sculpture relief panel which would illustrate the brutal treatment of our POWs and the defiance and courage they displayed while in captivity. 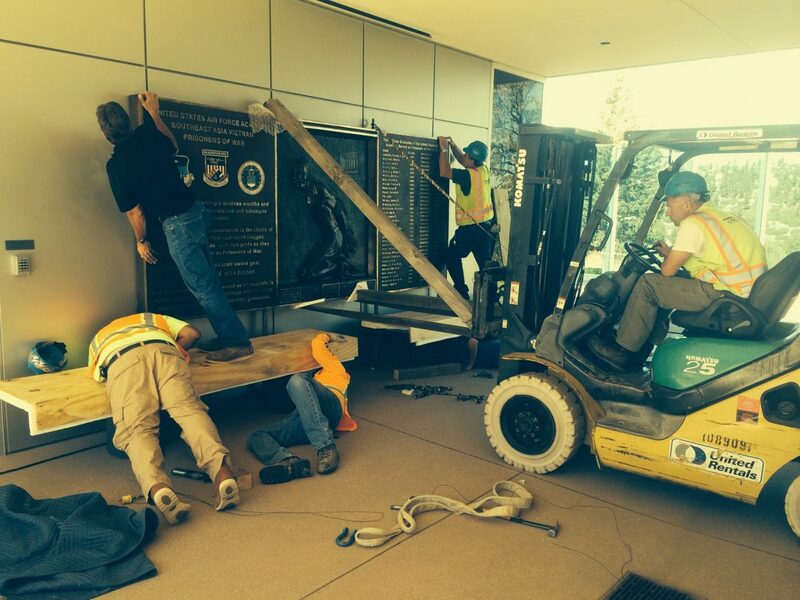 The plan was to install the sculpture panel on an outside wall at the newly dedicated Vietnam Pavilion. 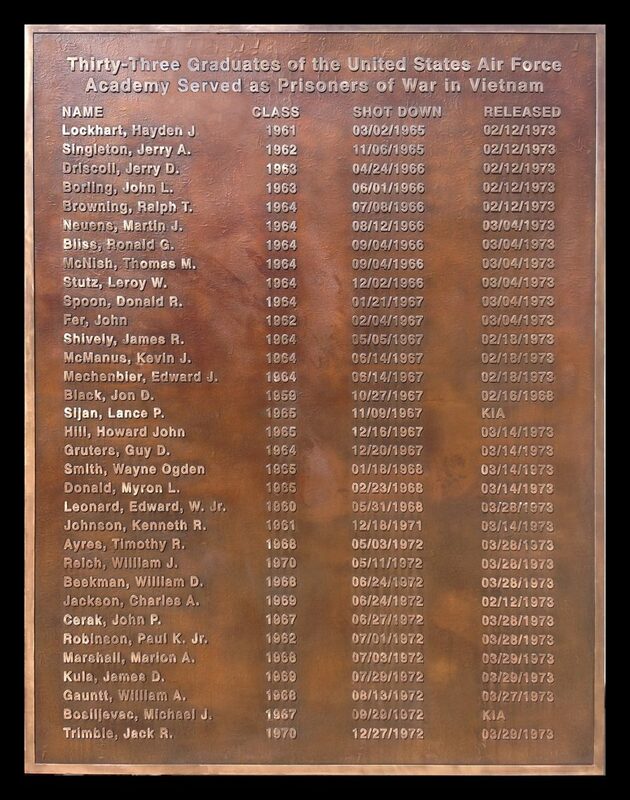 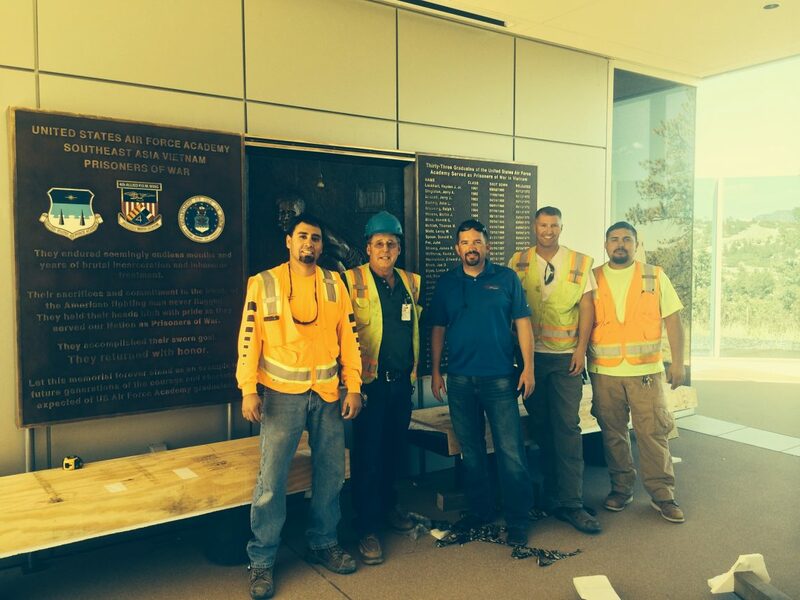 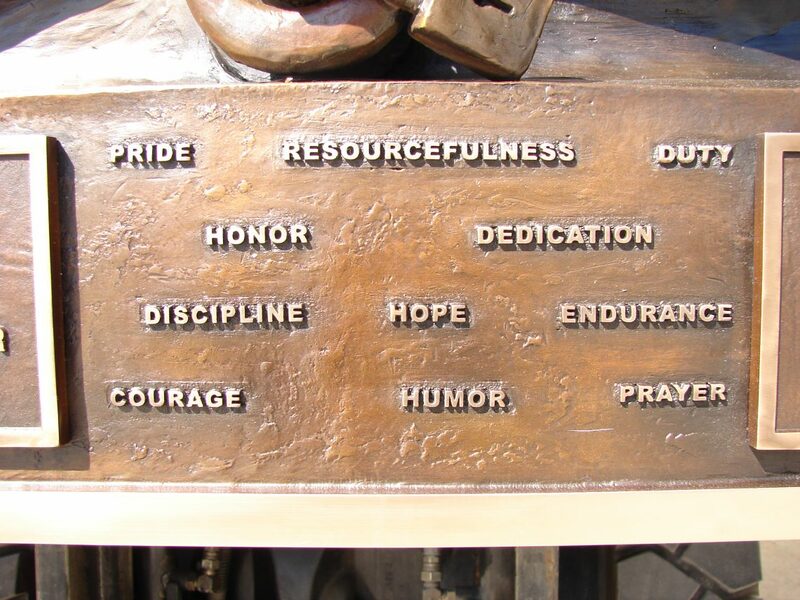 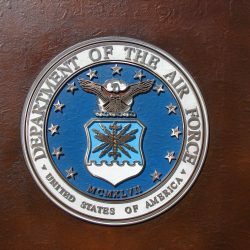 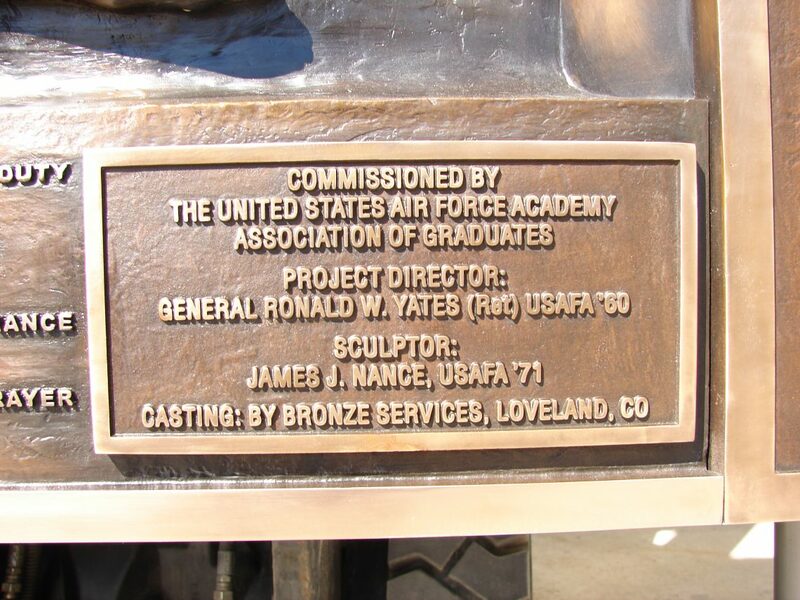 To accomplish this goal the USAF Academy Association of Graduates under the leadership of General Yates, awarded the commission to sculptor James Nance, class of 1971. 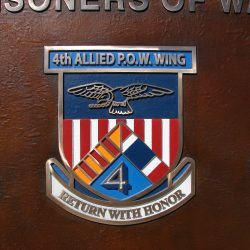 Interestingly, Jim had two indirect connections to POWs. 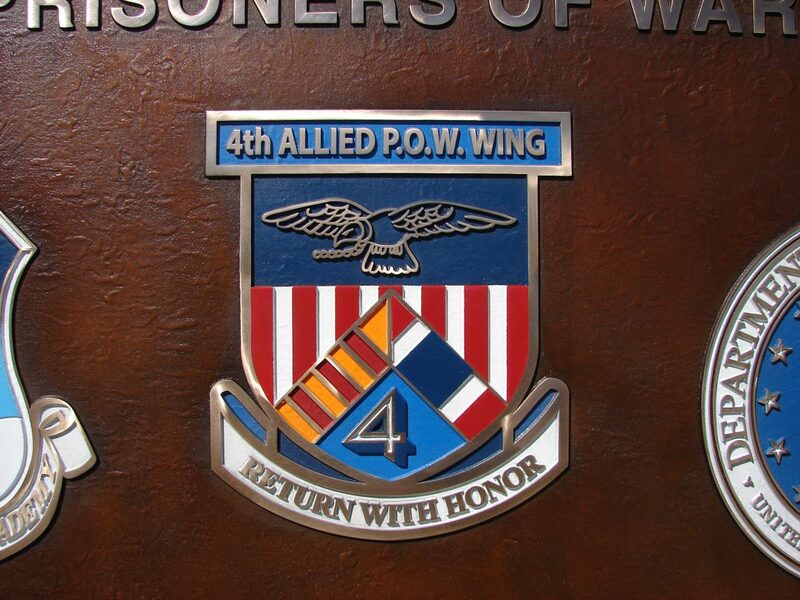 First his father Bill Nance was a B-17 pilot who spent most of WW2 as a POW in Luft Stalag 3. 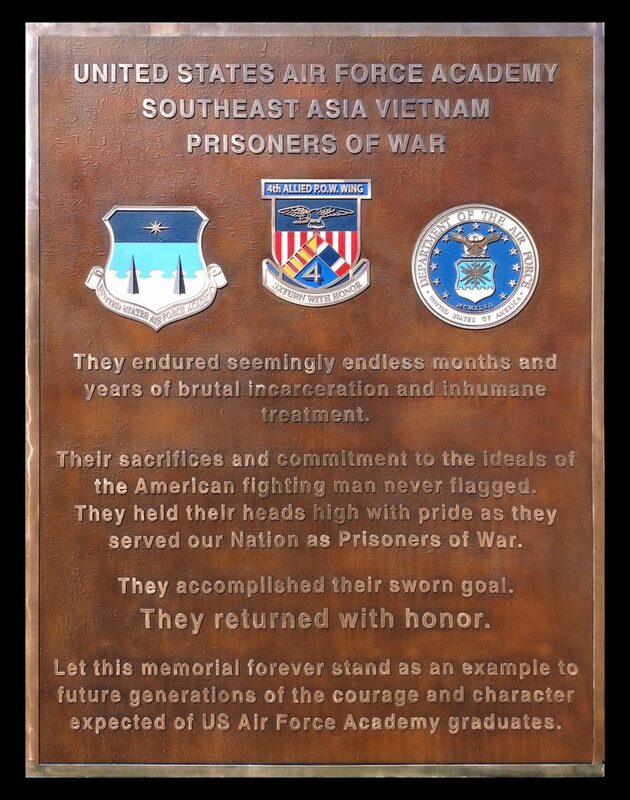 Secondly, Nance was a young copilot on the second C-141 to fly into Hanoi to bring our prisoners home. 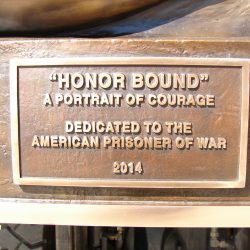 During the project Jim had the privilege to meet and become friends with many of the POWS who were gracious and eager to provide him with historical feedback and artistic critique. 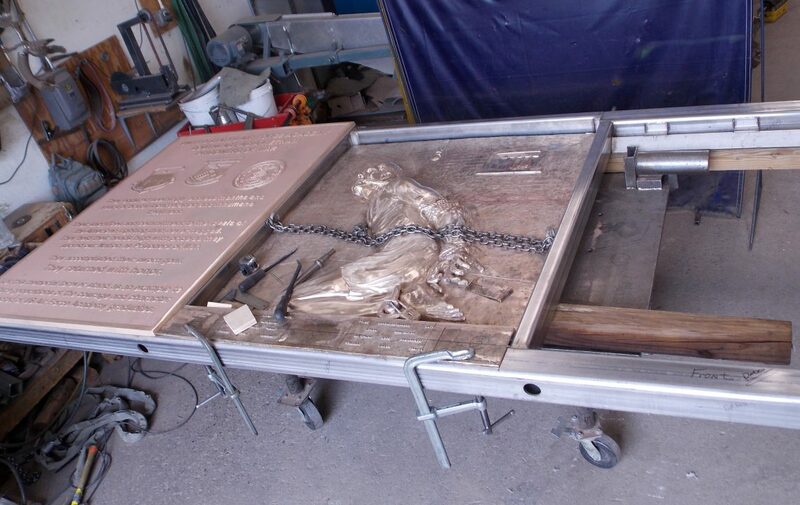 After several months of collaborating effort and drawings, General Yates and Jim Nance arrived at a suitable design. 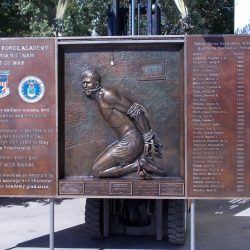 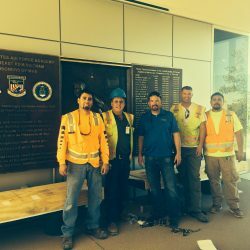 The memorial was to be a bas relief sculpture and text panel measuring 12 feet wide and 5 feet tall, divided into three panels. 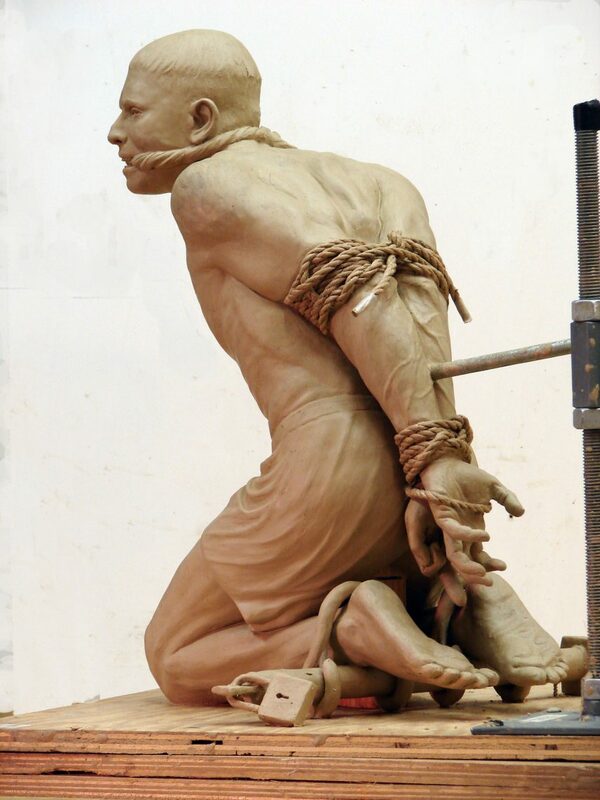 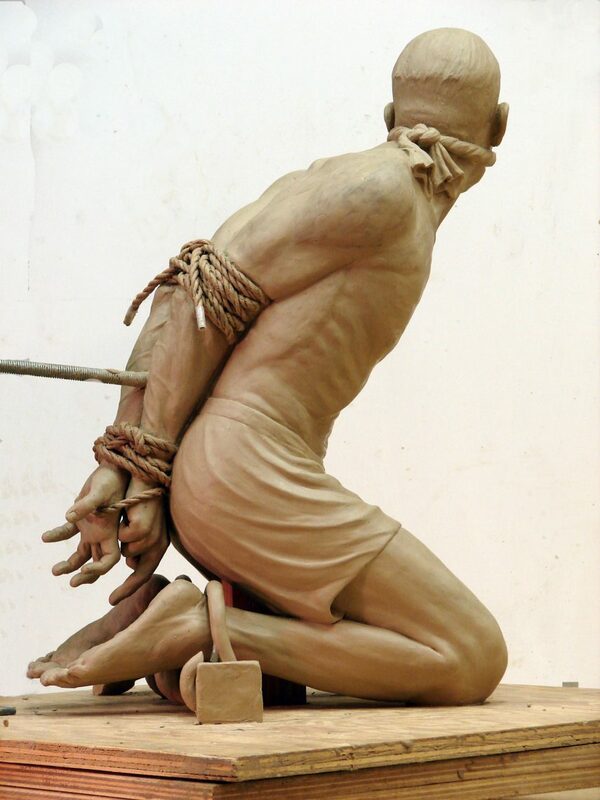 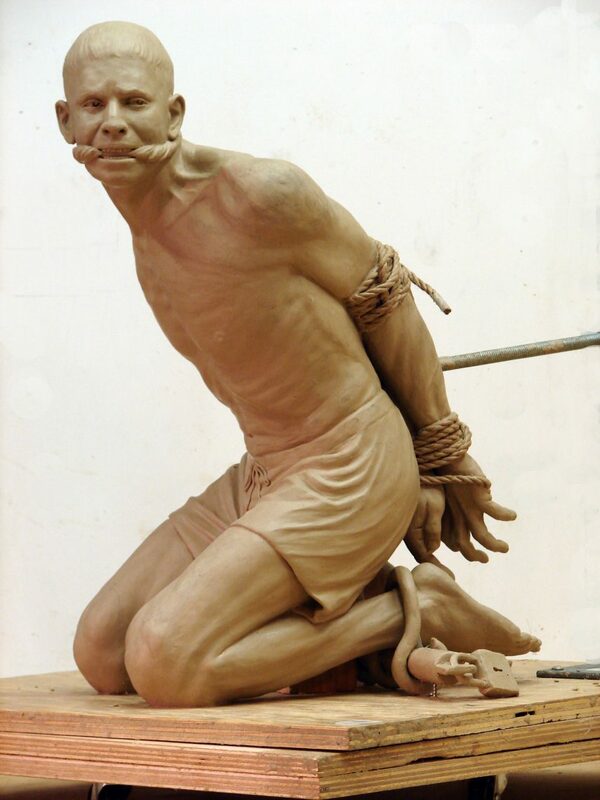 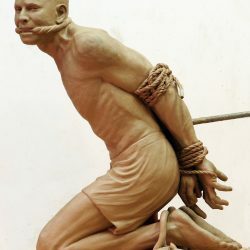 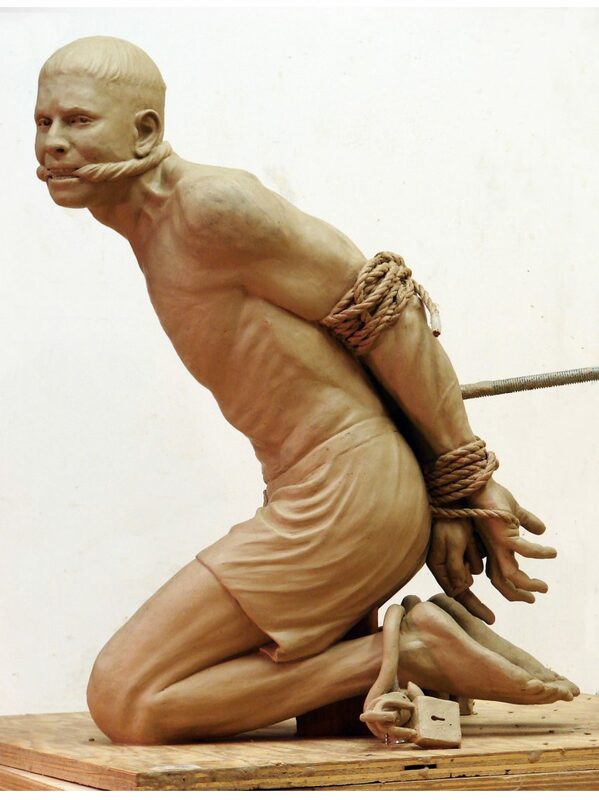 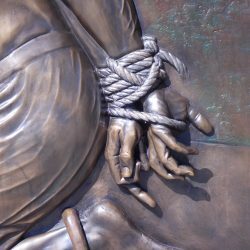 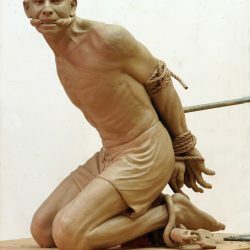 The center of the panel was to be a Bas relief sculpture of a prisoner bound on his Knees enduring the rope torture. 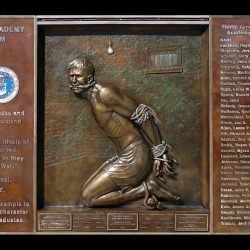 The left panel was to bear dedication text and crests and the right panel the names of all 32 Academy graduates who served as POWs.The traditional classical method of sculpting a Bas relief panel is to first sculpt a figure in the full round and then use that figure to sculpt the relief. 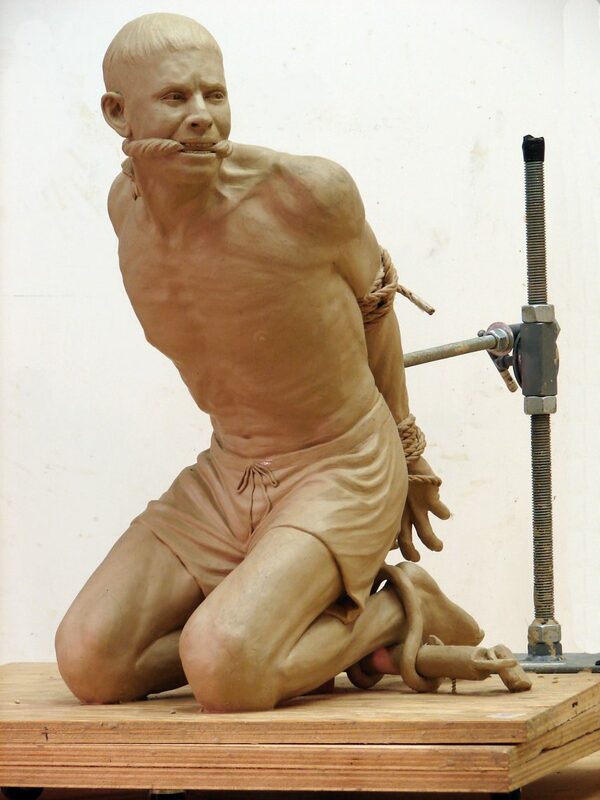 Jim spent six months creating a 40 inch tall (if standing) clay figure of the POW. 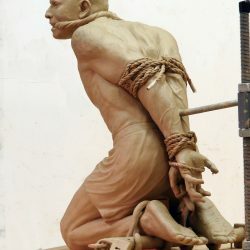 He is shown in a forced kneeling position with his ankles shackled and feet off the ground, a technique used by the Vietnamese to inflict maximum pain and prevent the prisoner from sitting back. 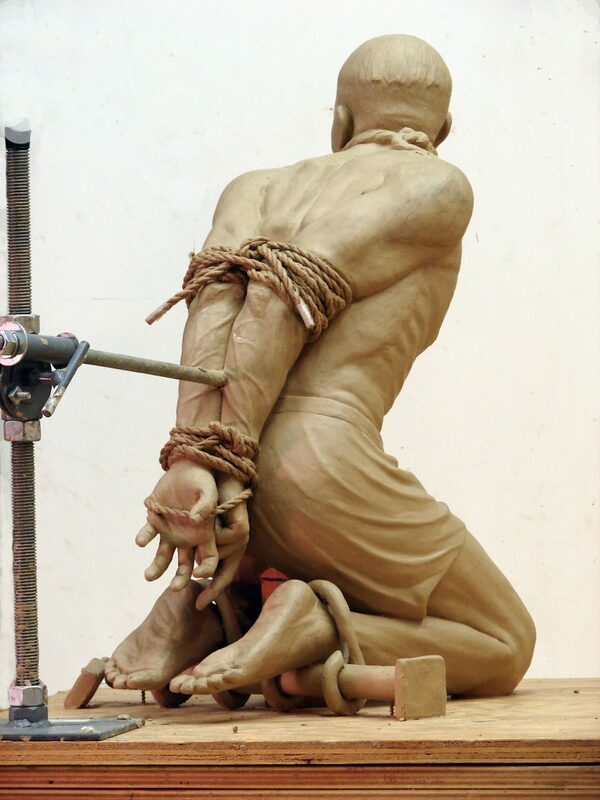 His hands are tied behind his back and a rope is cinched tightly to bring the elbows together, which would also create incredible pain. 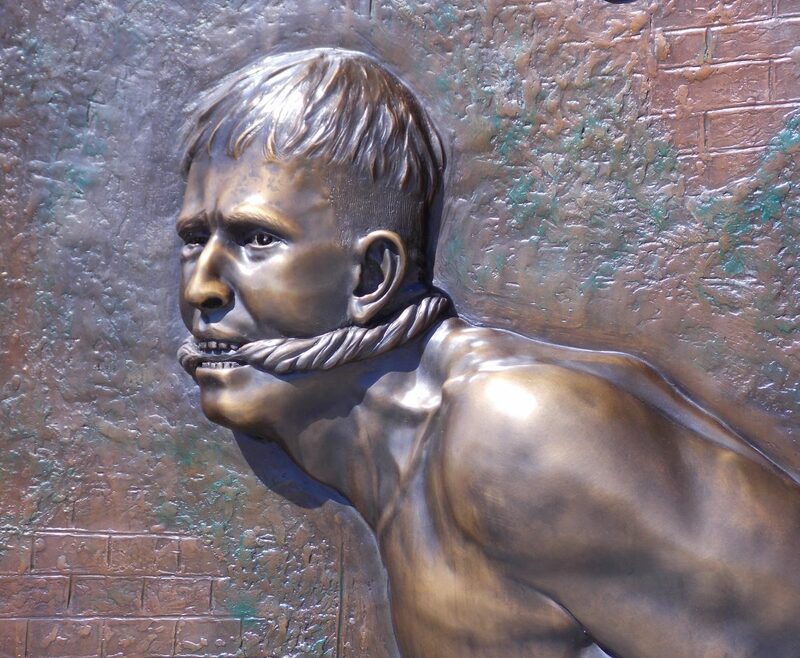 His mouth is also gaged to stifle screams of pain. 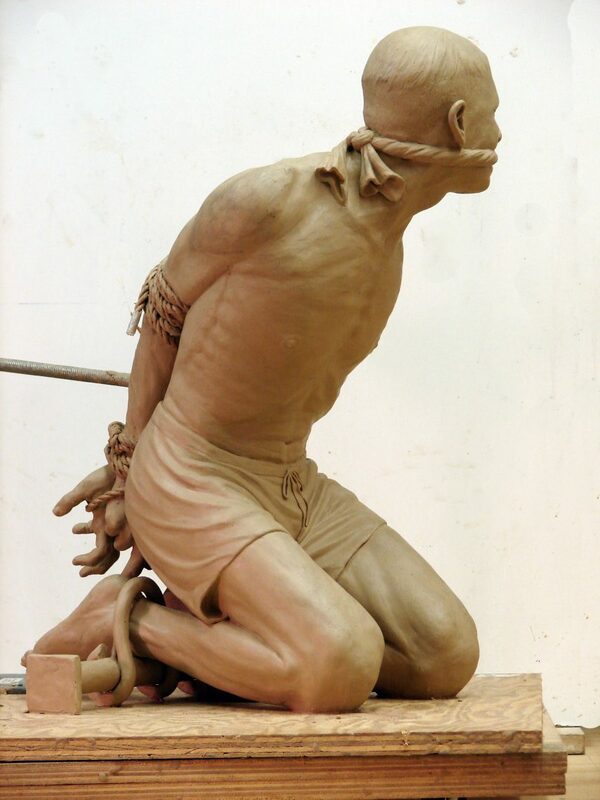 Often newly captured prisoners were subjected to this treatment on their first day in captivity. 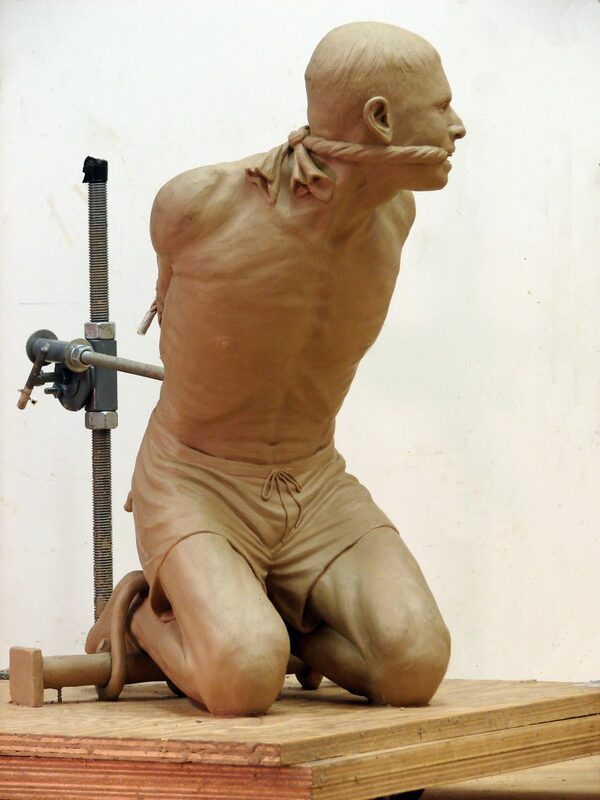 While in this position, a rope was lowered from a pully in the ceiling and hooked onto the rope around the wrists. 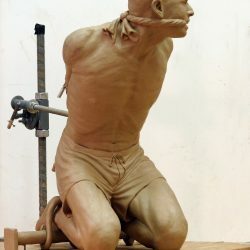 Finally the prisoner was brutally hauled up off the ground with the rope by the hands and both shoulders would dislocate. 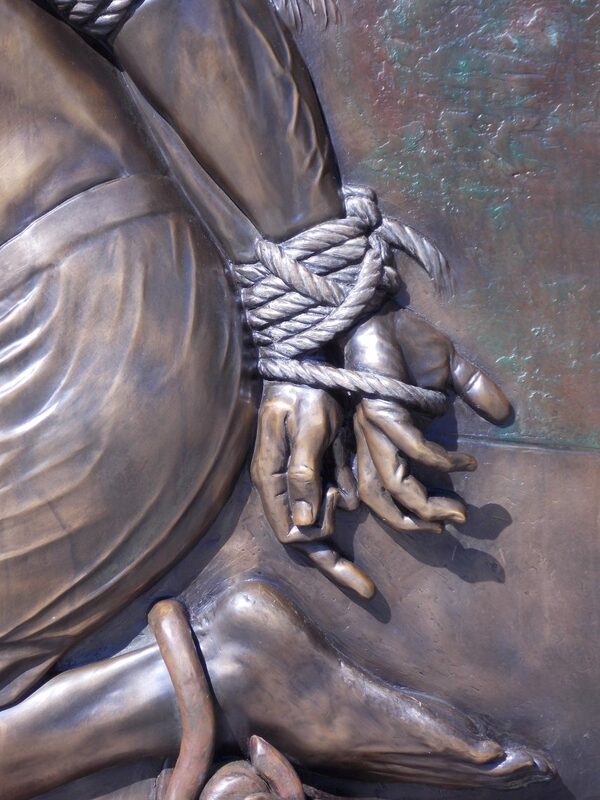 To illustrate the defiance of the prisoner, Nance added a subtle detail visible in the middle finger of the bound right hand. 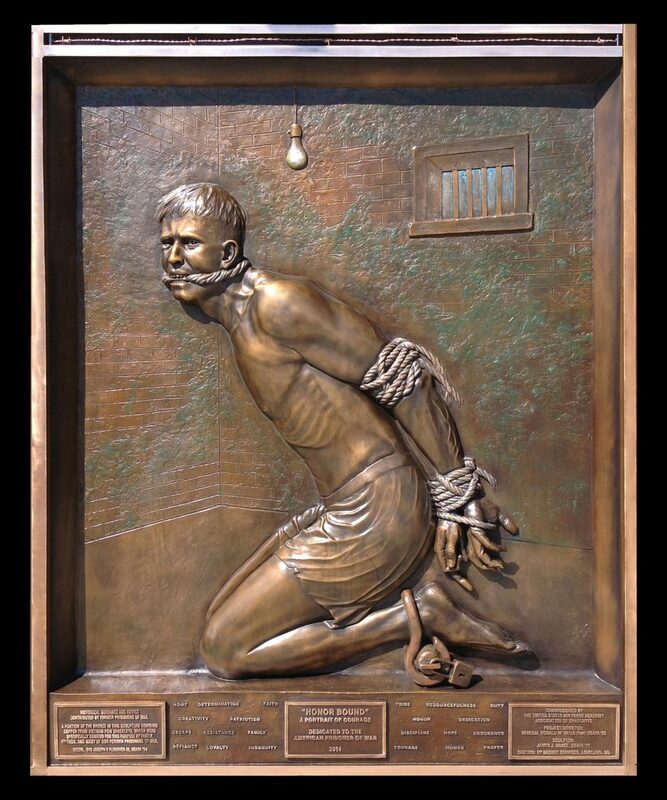 The prisoners face is in pain but Nance tried hard to depict determination and defiance rather than submission. 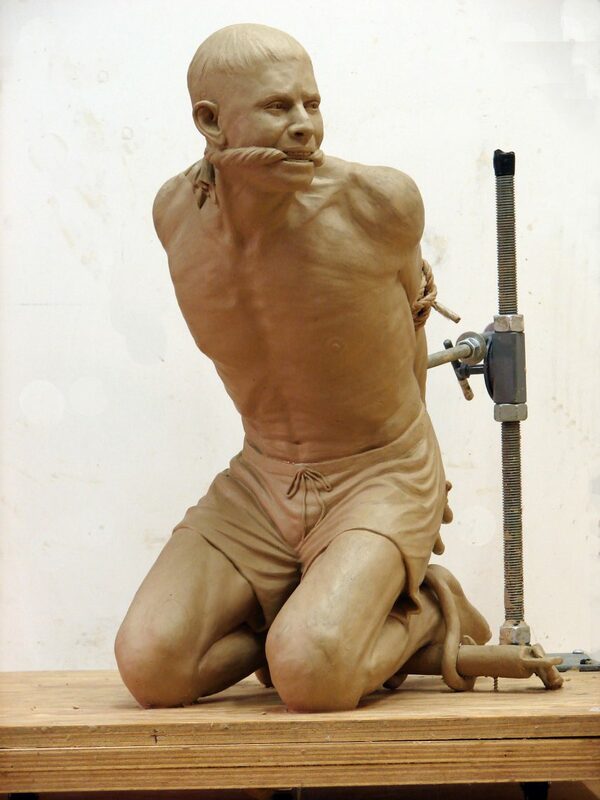 As a portrait artist, Nance tries to avoid creating a generic figure out of thin air. 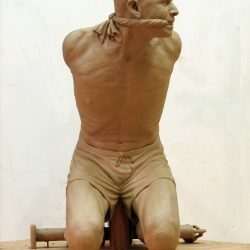 To this end he needed a suitable model. 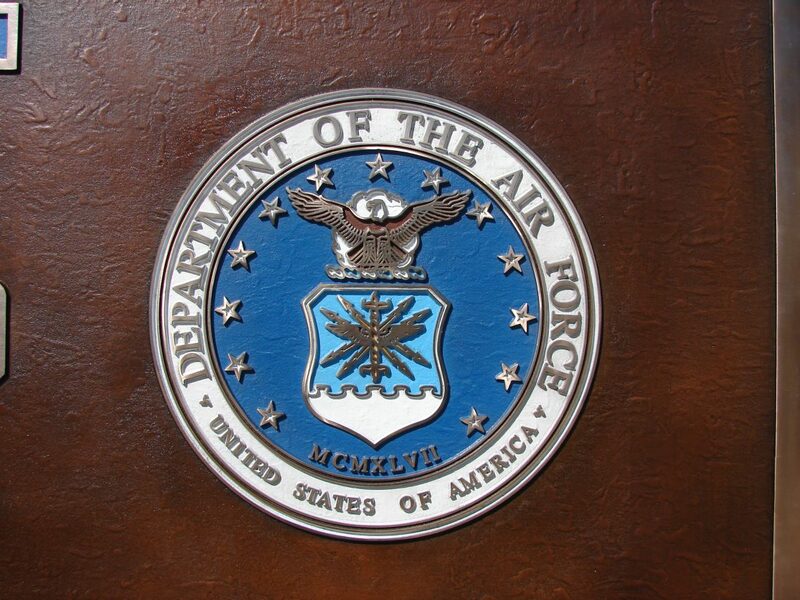 An email to the Cadet Wing Commandant’s office with a request for a model yielded him over 500 selfies from cadets who were volunteering to be his model. 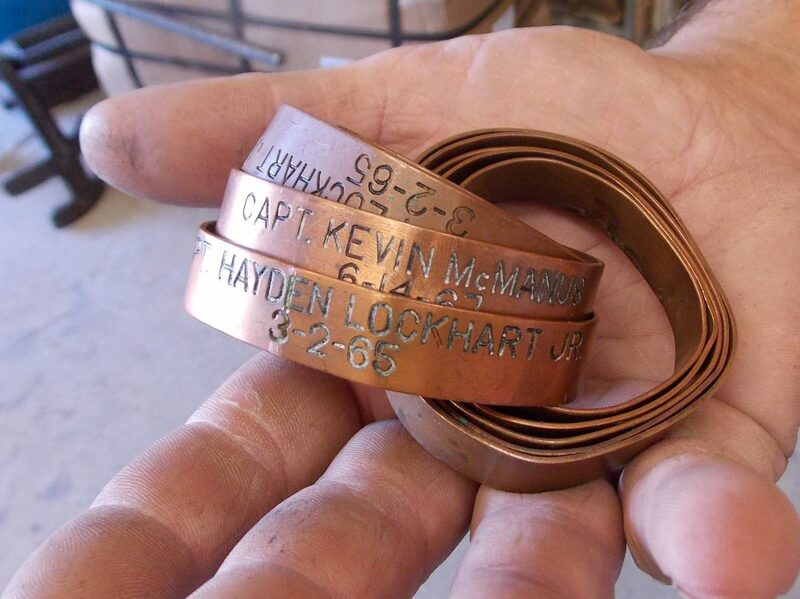 After combing through the entries he and General Yates selected 3 finalists. 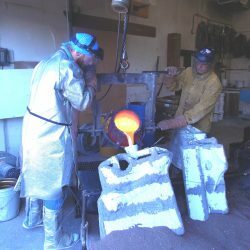 Jim then meet with all three and took photos. 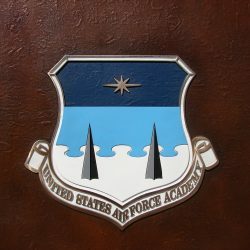 Jim and General Yates both agreed to use Cadet first Class Joseph Fletcher class of 2012. 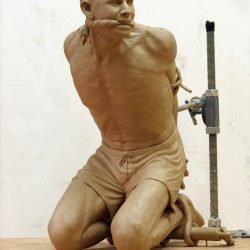 When Joe was modeling for the project he was so gung ho that Jim was afraid he might hurt himself when he had his classmates tie him up. 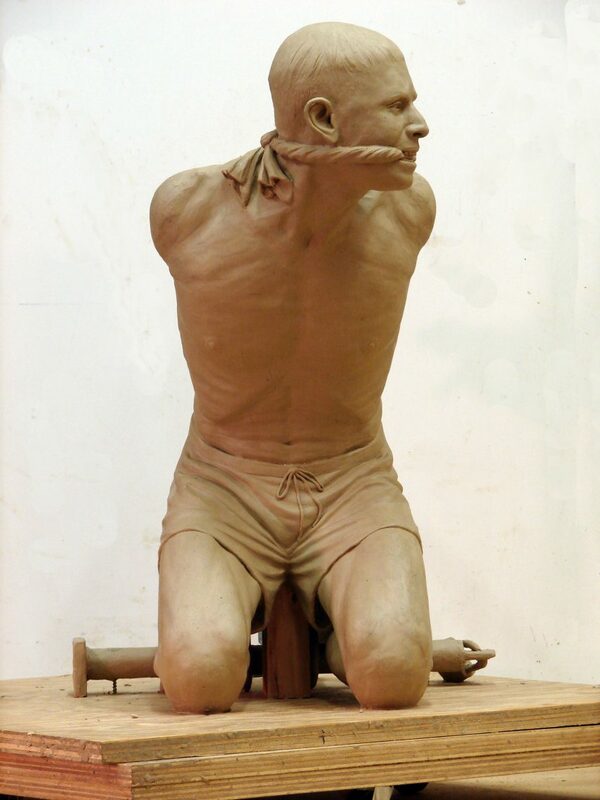 Joe was an enthusiastic model and his attitude and physical appearance added to the power of the clay maquette. 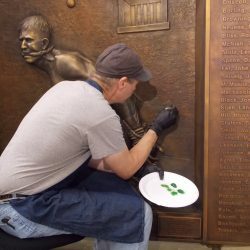 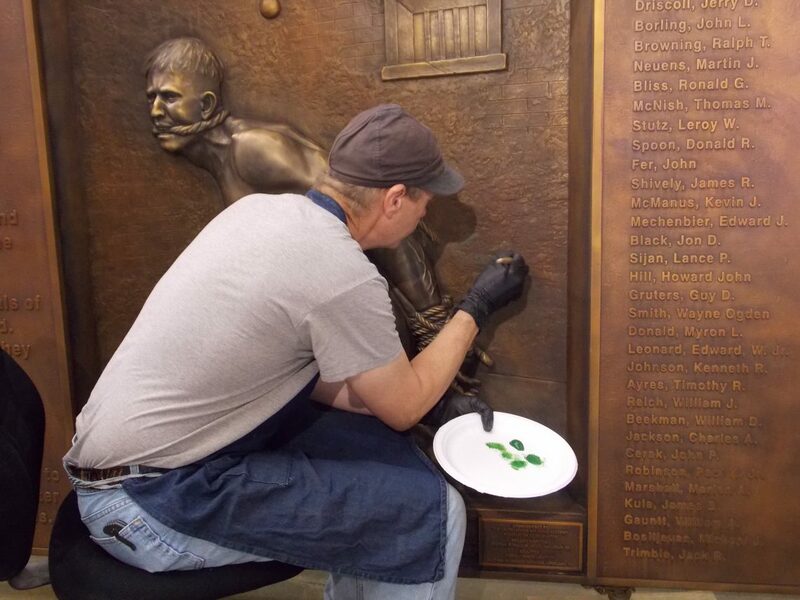 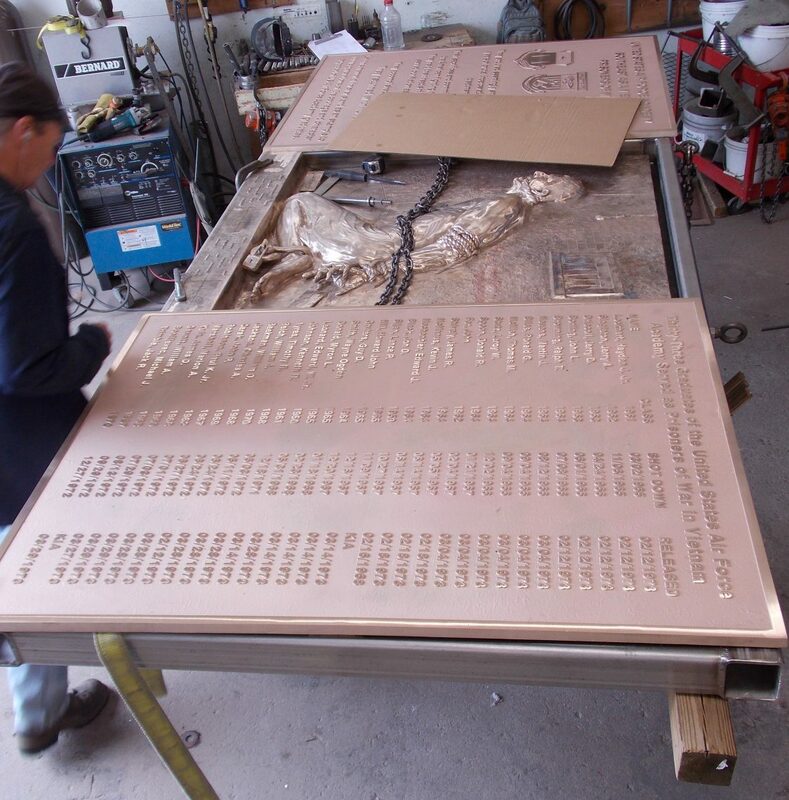 After the completed 40 inch clay maquette was approved by the AOG board of Directors, Jim set about sculpting the bas relief panel. 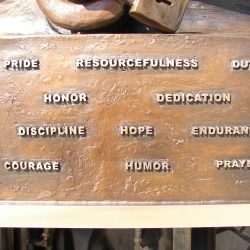 Relief sculpture is a very subtle art form and constant reference to the full round figure allowed him to identify and refine the subtle planes of a relief. 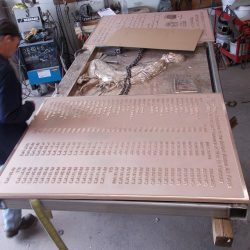 Although from the front the relief looks almost full round, the maximum projection at the shoulder is only 1 inch.The side panels were designed by Nance and General Yates and cast by Mathews bronze in Pittsburg. 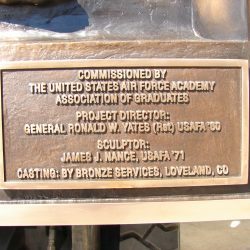 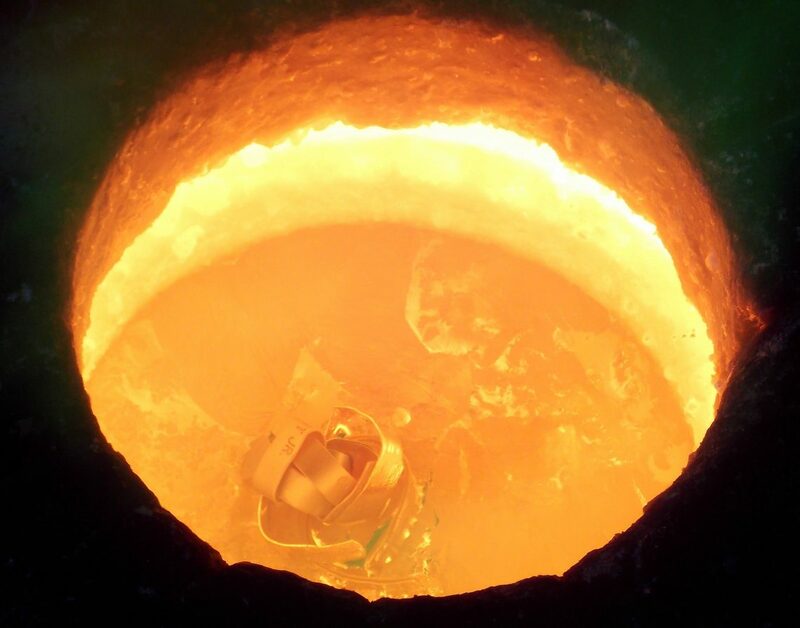 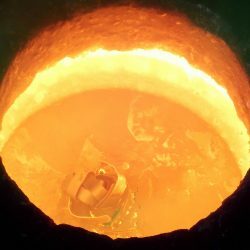 Once all the components were cast, Jims local foundry, Bronze services in Loveland, created a stainless steel superstructure and welded all the parts together. 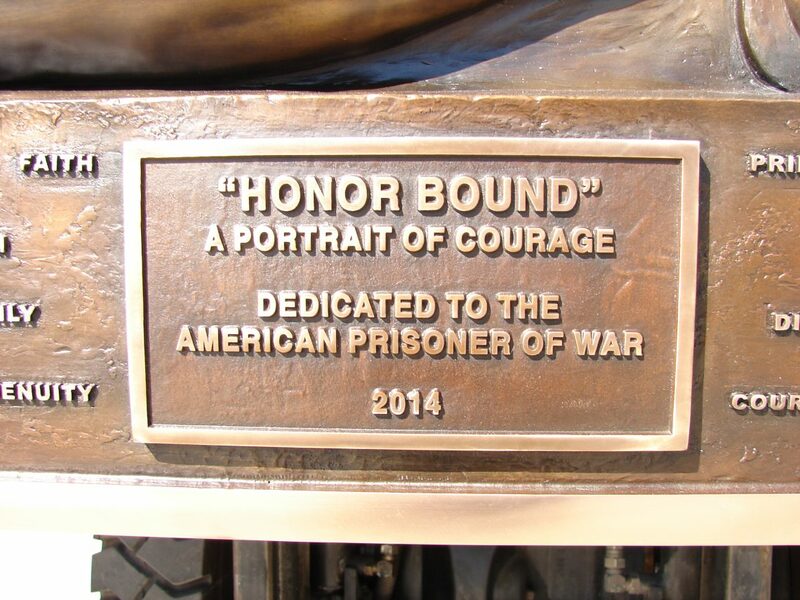 The dedication occurred on 22 April 2015 and was attended by 21 of the 32 former POWs, family, and other graduates. 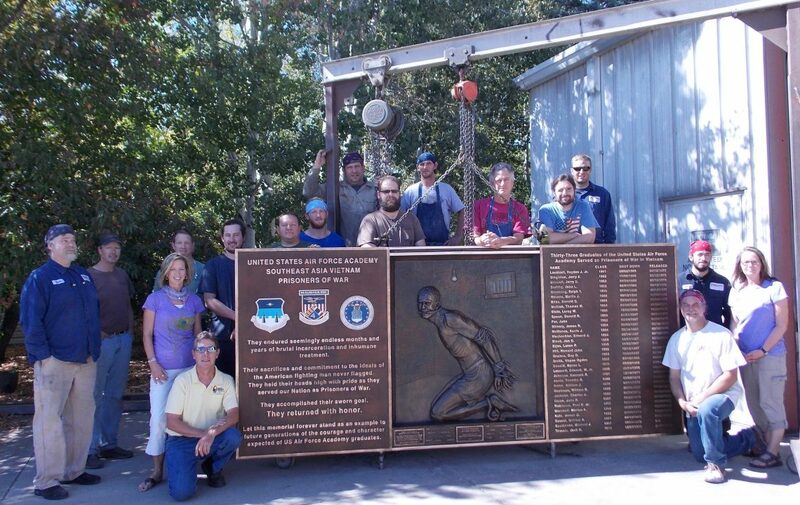 The ceremony capped a week long event designed to give these heroes the honor they deserved. 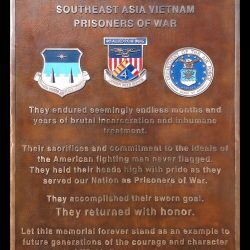 This was the first time many had seen each other since 1973 when they were released. 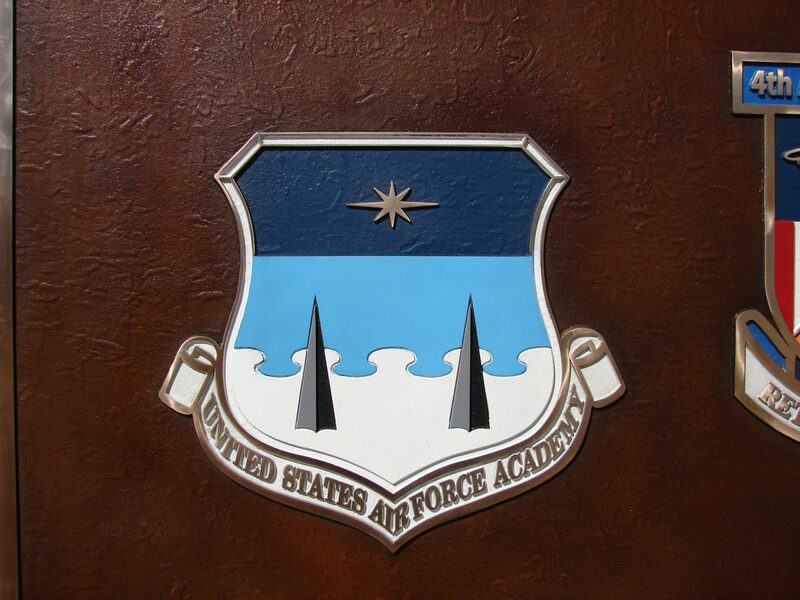 The keynote speaker was General Eddie Mechenbier, the senior ranking Academy POW. 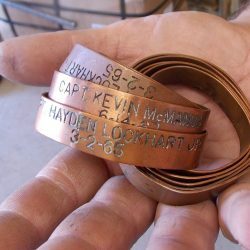 At the conclusion of the ceremony, the POWs presented General Yates with a cast fragment of the bound hands complete with a flat white back side on which all POWs present signed.